With over 30 years of experience, Southwest Companies is the leading concrete expert giving craftsmanship and knowledge for concrete pours or repairs. Southwest Companies is a Commercial Concrete contractor. We are dedicated to providing top quality concrete repair, installation and maintenance services. Southwest Companies’ skilled team of masons can build or repair CMU, Brick and Stone Work. Winter's frigid conditions are finally behind us, but damage from heavy ice, fluctuating temperatures, and other harsh elements may still be breaking down your property's surfaces. Between the freeze-thaw cycle splitting through your foundation and the elements pouring down on your driveway, winter in the Midwest is no friend to concrete and asphalt. Why Is My Concrete Breaking Down, and Do I Really Need a Replacement? A property manager's to-do list is merciless enough without piling on expensive, and potentially dangerous, foundation, driveway, and sidewalk replacement. 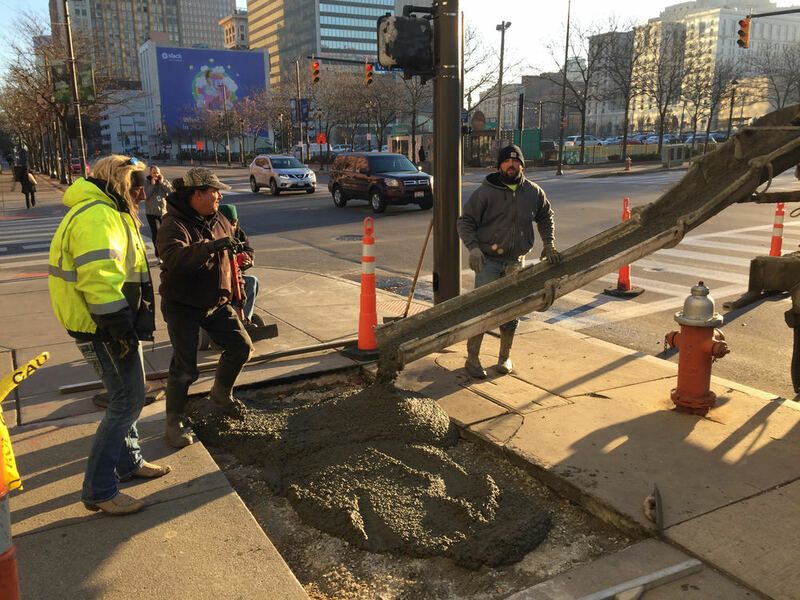 We're keeping CLE pedestrians safe. We recently installed a much needed concrete collar around this sewer drain which involved building a form around the area to be repaired and encasing it in concrete.